We wanted to see the other hotels in the Mayakoba community, so planned our anniversary dinner (okay, it's was only our 6 months but who's counting) at Saffron in the Banyan Tree Mayakoba hotel. We were running late for dinner and didn't have time to wait for a golf cart, so jumped on one of the bikes outside of our room at the Fairmont. (Yes you read that right, we jumped on ONE bike! There weren't any pegs and I was in white pants, so I sat on half of the seat while my husband petaled and I held on for dear life. We got lost because we made a wrong turn and had to weave in and out of trees in the pitch black- it was almost like he thought he was Lance Armstrong or something (I was holding my breath the whole time). We finally made it to the lobby to catch the car to take us to Banyan Tree (in one piece, no scratches, bruises or broken bones...hallelujah). As we pulled up to Banyan Tree I was super impressed with how beautiful and zen the hotel was. There was Asian accents throughout, which was really pulled everything together. We stopped for a drink in the lobby before dinner. I got the Mayakoba Margarita, which was hands down the best margarita I had in Mexico, while my husband got a margarita with cucumber...then tried stealing mine (no, sir!). We had dinner at Saffron, a Thai restaurant on the Mayakoba lagoon...I know what you're thinking - Thai food in Mexico?! The hostess greeted us with a big smile, put a flower in my hair, and offered us some bug spray, which was an interesting thing to offer someone (so much for wearing perfume!). We were seated outside right on the lagoon, the only lighting was the candlelight at each table. Talk about romantic! (the whole time, I was trying to figure out how the waiters could see.) We ordered one tasting menu and pad thai, which was plenty food for two people. And absolutely delicious, I might add - the pad thai was probably the best I've ever tasted...and I love me some pad thai. The food was delicious and the ambiance was fantastic, I highly recommend eating at Saffron if you're in Mayakoba. The pictures below give you an idea of how dark it was! Here's part one of our Mexico adventures here. As I sit here on my 5 1/2 hour flight from Cancun to San Francisco with sun-kissed skin (well...maybe more burnt then kissed, but let's roll with it) and reminiscing on the incredible work trip/vacation we had. We ate tons of amazing food, met some great people, jumped around to different hotels, drank lots of margaritas and mojitos, and celebrated 6 months of marriage. 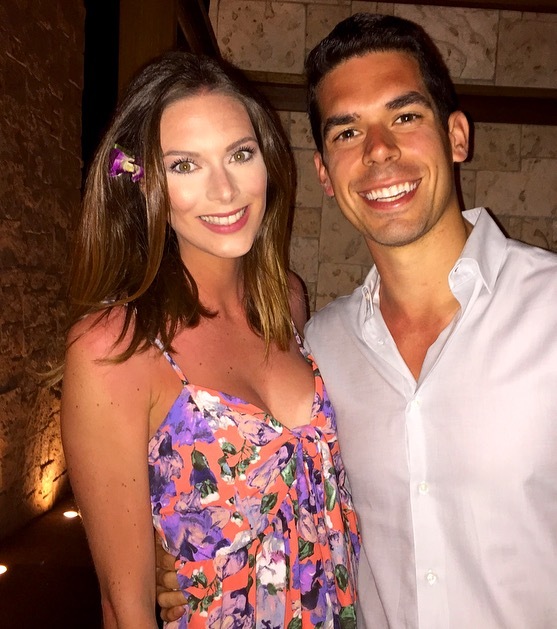 One of my favorite spots on our trip was the Fairmont Mayakoba. Fairmont Mayakoba is one of the most unique hotels we've stayed at. They have such a big property with different kinds of pools, restaurants, beach areas, etc. One of the coolest parts of the hotel was the different vibes we felt...one second we felt like we were in a tropical jungle, then the beach. The Fairmont was very comparable to our honeymoon spot at the St. Regis Punta Mita, which was nothing short of ultimate luxury. We kept ooh-ing and ah-ing at how cute, clean and unique everything was. I knew we would like the Fairmont Mayakoba from the second we stepped out of the taxi - we were greeted with ice cold hand towels, which couldn't have been more refreshing in 90 degree heat. They have an open air lobby with a balcony overlooking the lagoons of Mayakoba. Mayakoba is it's own little community within Riviera Maya - with water canals connecting three hotels: Fairmont, Rosewood, Banyan Tree, and a 18-hole golf course. Guests can jump from hotel to hotel riding the Mayakoba Connection, which is a cute little boat (see below). And lunch over looking the beachfront at Las Brisas, where I had a yummy coconut crusted chicken salad...my mouth waters thinking about it! The rooms are awesome! They are mini bungalows, instead of the traditional hotel feel. There is wi-fi throughout the property, which was nice and each room has a french press (check, check) and showers with a huge window that opened up to the outdoors to give that feeling of showering outside - literally you can hear the birds chirping and palm trees blowing in the wind. Tip: Anyone can sign up for a Fairmont Presidents Club, which gives you complimentary room upgrades. We were able to get upgraded to the Beach Area Casita in the 700s on the top floor overlooking the Mayakoba lagoon and golf course. We will definitely be coming back to the Fairmont Mayakoba, it's definitely made the list of our top places to stay on vacation. 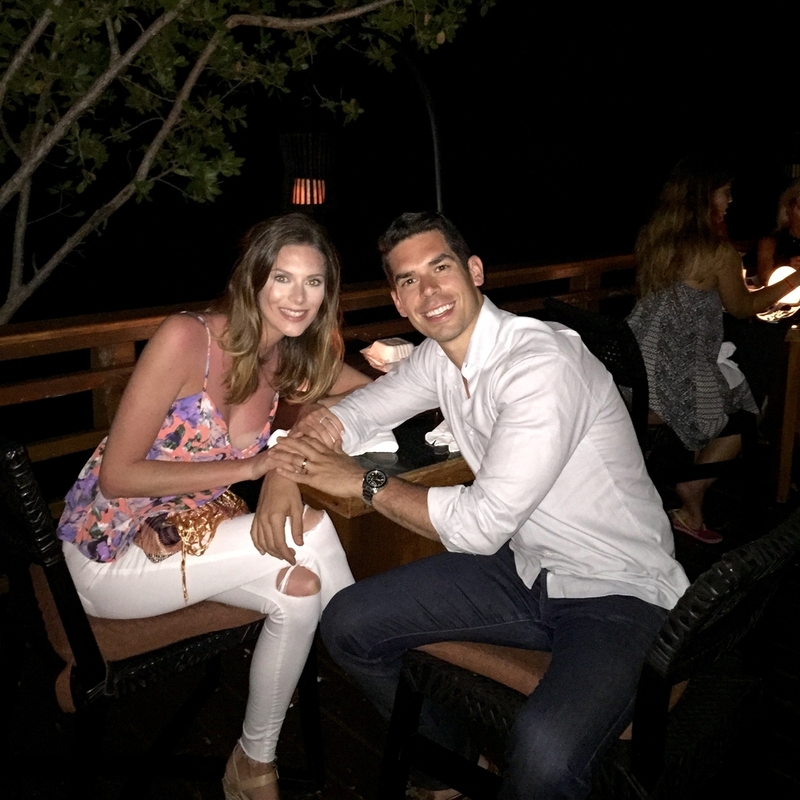 Stay tuned for more on our Mexico trip...will be posting our favorite dinner spots, drinks and more.